The Valley Heights Football team comes closer to the end of their regular season with the start of district play, determining seedings for bracket play. District play for the Valley Heights Mustangs started Friday, October 5th with a 52-8 win over Wabaunsee. 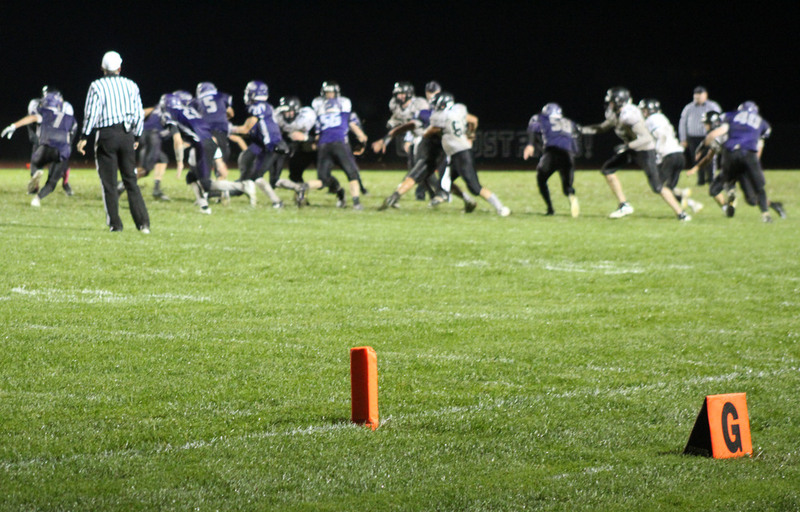 The most recent game played was against Northern Heights for a 44-0 win. “It’s good to be back and I’m happy that I can contribute to the team.” said Trey Martin Jr., Valley Heights’ leading rusher against Northern Heights. Winning this game got the Mustangs a home field advantage for their first bracket game. The Mustangs have their last district game on Friday, the 19th at Centrallia for the District Championship. “from a defensive standpoint they present many challenges for us, but if we stay disciplined and work together we can present many challenges for them.” added Defensive Coach, L.E.W Whitson. The Mustangs have adapted quickly with the loss of seniors, Jeremy Reed with a torn ACL and Payden Yungeberg, out with a concussion. Although faced with adversity, the Mustangs have players that are willing to step up and play confidently for the remainder of the season.